Learn how to grow turmeric, when and how to harvest, and get some delicious ways to use this beneficial root. 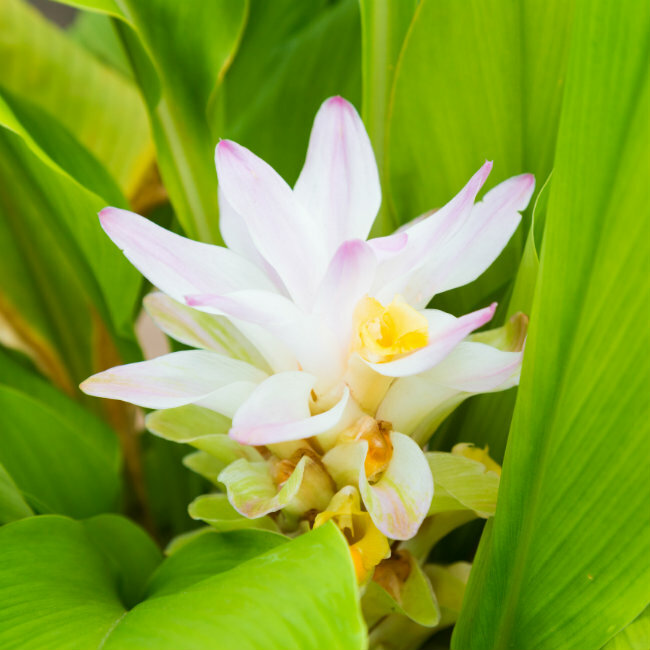 The turmeric plant (Curcuma longa) is native to southern Asia, where the roots have been used for over 4000 years in medicines, food, and dyes. Turmeric is proven to have many health benefits, and the spice lends a distinctive flavor to curries and other dishes. Fresh or powdered turmeric is available commercially, but it may not be very fresh, and organic turmeric can be hard to find or quite expensive. 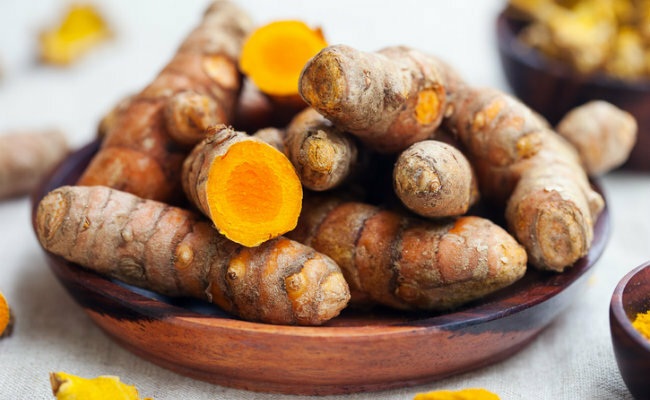 Growing your own turmeric is an easy way to get high-quality, organic turmeric with all the health benefits and without the cost. 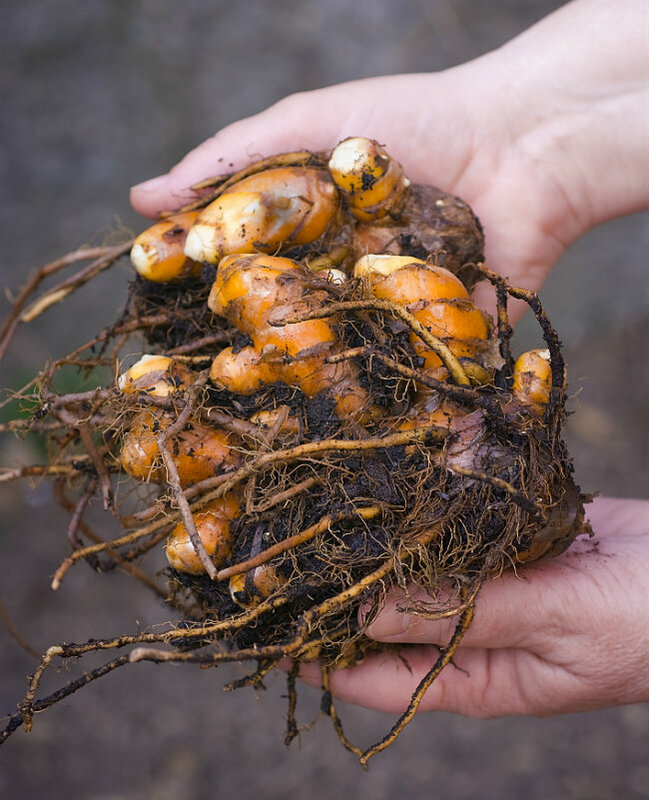 The easiest way to start a turmeric plant is to buy a piece of fresh root. Turmeric root is available in many grocery stores or online. Buy organic turmeric roots when possible. Look for roots that are firm, plump, and free of mold. Roots that are at least 2 to 4 inches (5 to 10 centimeters) long are best, and get a few just in case they don’t all sprout. If you get a root with many branches on it, you can cut it into smaller pieces with a clean knife and plant each piece separately. Turmeric can take from seven to ten months from planting until harvest, and it can’t tolerate temperatures lower than 65 degrees Fahrenheit (18 degrees Celsius). This means you’ll have to grow your turmeric indoors for most of the year if you live in a colder climate. Even if you live in an area warm enough to grow turmeric outside, it’s safer to start your plants indoors. Turmeric will typically produce best if you plant it in late winter, regardless of whether you grow it indoors or outdoors. Choose a container at least 12 inches (30 centimeters) wide and deep if you’ll be keeping it inside. A smaller pot is fine if you’ll be transplanting it outside. Plant your roots about 2 inches (5 centimeters) deep in a well-draining potting soil, with the roots lying flat on the soil. Make sure the potting mix is fairly rich. You can buy a soil that’s made for vegetables or add some compost to a regular potting mix. Put the pots in a warm area of your home. Temperatures around 86 to 95 degrees Fahrenheit (30 to 35 degrees Celsius) are ideal. If you don’t have anywhere this hot, you can get a heating pad from your local garden center to place the pots on. Shoots should start to come up in about a month. You can plant them outside once they’re a few inches tall, or leave them inside in a hot, sunny window. The mature plants will be over 3 feet (1 meter) tall, so make sure they have room to grow. 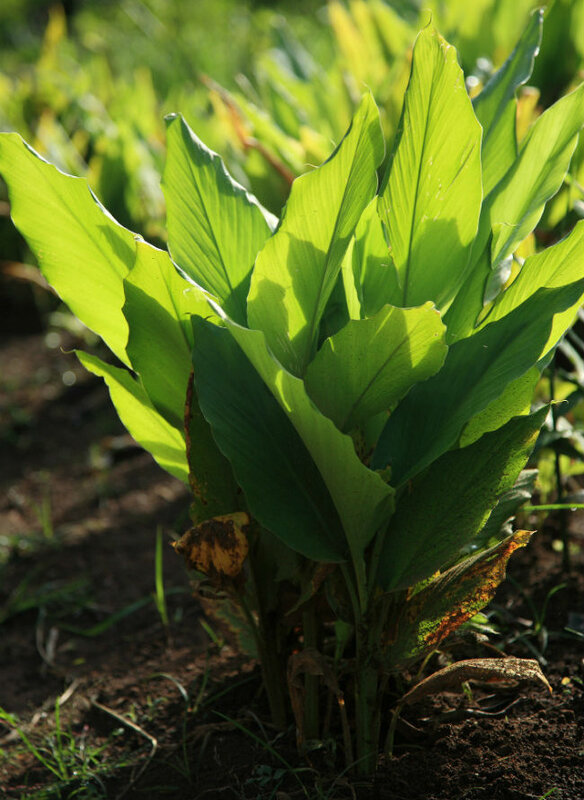 Whether grown indoors or outdoors, turmeric plants will benefit from regular feedings with a liquid organic fertilizer about every month. When grown outside, you can also mulch with additional compost throughout the growing season. In colder climates, containers can be put outside during summer as long as night temperatures are warm enough. Keep the soil evenly moist as your plants grow. 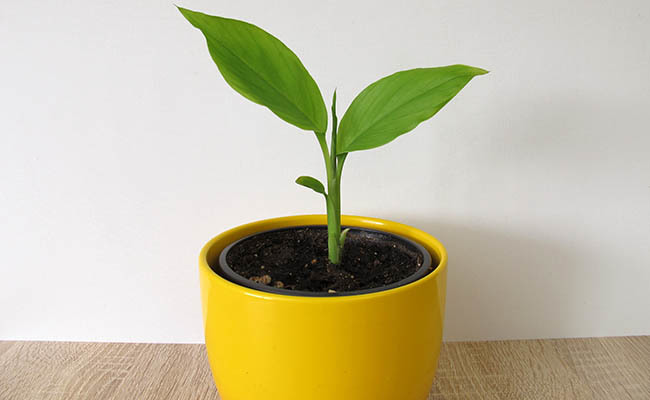 Excessive watering can cause rot, and drought can also hurt turmeric plants. The plants will also enjoy being misted periodically for extra humidity. Don’t be alarmed if your plants flower at some point. This won’t have any effect on the quality of your final harvest. Turmeric plants will naturally start to die back when they’re ready to harvest. The leaves and stem will turn brown and become dry. At this point, you can dig up your turmeric plants. Shake all the soil off the roots and cut off the stems, leaving about 1-inch (2.5 centimeter) stubs. Rinse the roots off well, but be careful not to damage them. Any scratches or nicks will shorten their storage time. Remember to set aside a few roots to replant for next year’s harvest. Roots in good condition will last up to 6 months in your fridge. They can also be frozen for longer storage. In addition, you can make your own dried turmeric powder. Boil some fresh roots in a pot with water for 45 to 60 minutes. They’re done when you can easily pierce them with a fork. Drain the roots, rub the skin off with your fingers, and dry them in the sun or a food dehydrator until they’re brittle and snap apart easily. Grind the dried roots in a spice mill or coffee grinder to make a fine powder. Try some of these delicious recipes to start enjoying your turmeric crop today. Last autum I planted ginger and it's growing fine.Maybe this year I'll plant turmeric.